I am working on a self-portrait with the intent to enter a contest with Jerry’s Artarama, and of course, to improve my abability to draw faces. I always seem to have trouble making the face look like the reference. 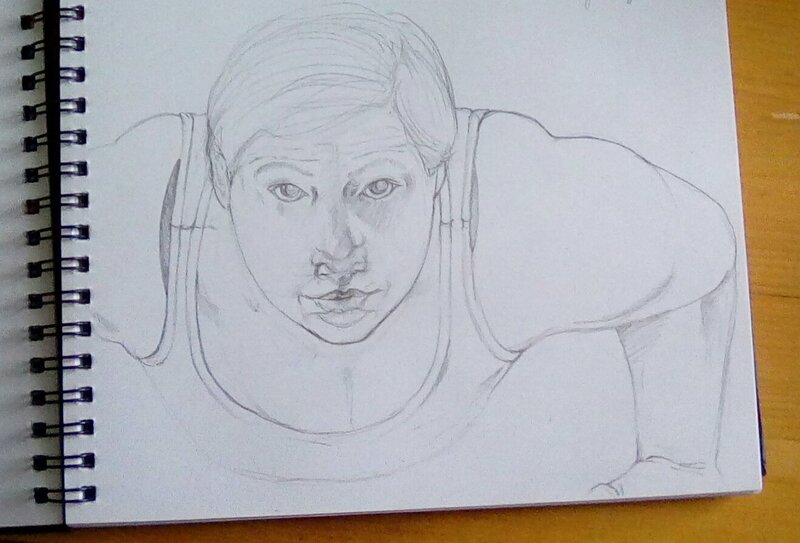 This is myself drawn in a basic pencil in my sketchbook. As you can see, I left my original mistakes present, choosing not to erase the first incorrect placements of the nose. 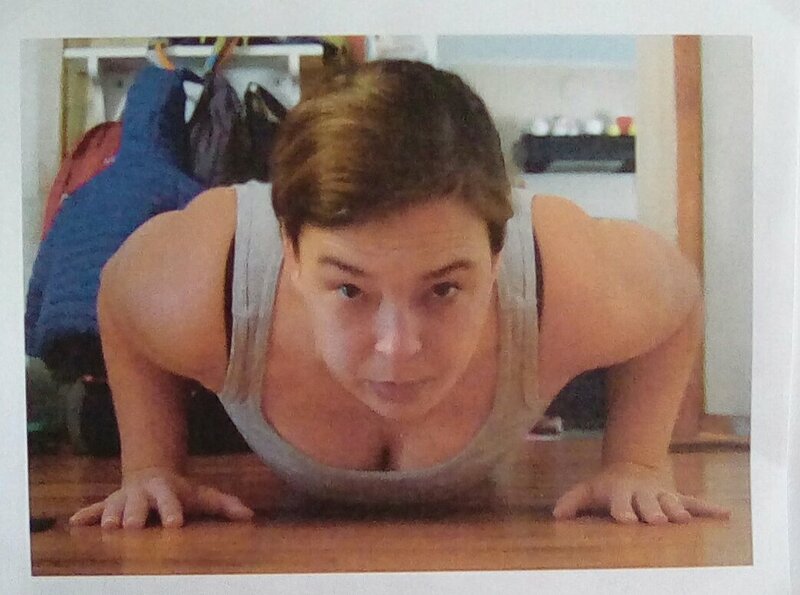 The reference photo is of me in a low pushup hold. Fitness is my other passion.